CARFAX 1-Owner, Excellent Condition. Heated Leather Seats, Tow Hitch, ENGINE, DURAMAX 6.6L TURBO DIESEL V8, B20-DIESEL COMPATIBLE, SEATS, HEATED AND COOLED DRIVER AND FRONT PASSENGER FRONT BUCKET, Premium Sound System, 4x4 CLICK ME! ENGINE, DURAMAX 6.6L TURBO DIESEL V8, B20-DIESEL COMPATIBLE (397 hp [296.0 kW] @ 3000 rpm, 765 lb-ft of torque [1032.8 N-m] @ 1600 rpm) Includes (K40) exhaust brake, (TUV) heavy-duty dual, 730 cold-cranking-amp battery and (K05) engine block heater. ), TRANSMISSION, ALLISON 1000 6-SPEED AUTOMATIC, ELECTRONICALLY CONTROLLED with overdrive, electronic engine grade braking and tow/haul mode, SEATS, HEATED AND COOLED DRIVER AND FRONT PASSENGER FRONT BUCKET includes 12-way power driver and front passenger seat adjusters including 4-way power lumbar control, 2-position driver memory, adjustable head restraints, floor console and storage pockets, SLT CONVENIENCE PACKAGE includes (JF4) adjustable power pedals, (UG1) universal home remote, (A60) locking tailgate and (PPA) EZ-Lift tailgate, (UD7) Rear Parking Assist and (S41) Rear wheelhouse liner, LPO, REAR VISION CAMERA, AIR BAGS, HEAD CURTAIN SIDE-IMPACT Privacy Glass, Keyless Entry, Child Safety Locks, Steering Wheel Controls, Alarm, Heated Mirrors, Electrochromic rearview mirror. Serviced here, Non-Smoker vehicle. 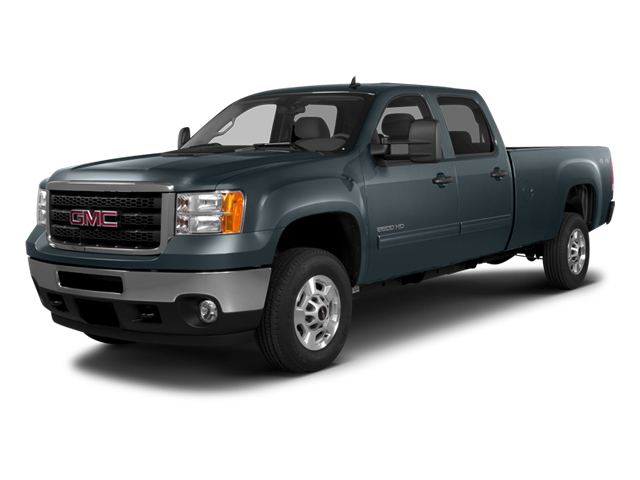 Hello, I would like more information about the 2014 GMC Sierra 3500HD, stock# T16321. Hello, I would like to see more pictures of the 2014 GMC Sierra 3500HD, stock# T16321.